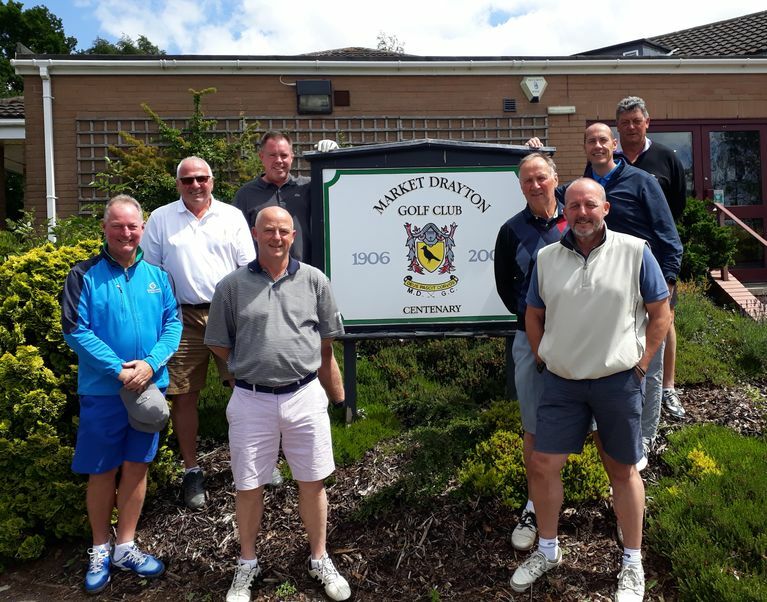 A dedicated group of golfers have been visiting Market Drayton Golf Club to stay in the on-course Bungalow and enjoy a week of golf every summer for 29 years! Steve (Moby), Steve (Beaker) and Dave (Elma) have not missed a year and Dave (Flod), Dave (Fitz), Dan (Sausage), Peter (Just Peter) and Martin (Valerie) make up the group of firemen, both retired and still serving from White Watch at Plaistow Fire Station, who return year after year to take advantage of fantastic golf, great accommodation and the hospitality offered by the Stewardess and her team, as well as a warm welcome from all the members. The course has been excellently presented and they have been blessed with good weather for their visit this year and are already looking to book next years’ visit.